Dr. Naficy acknowledges his profound gratitude to all of his patients, who have been his best teachers in the past 40 years and he is dedicated to the scientific movement to alleviate human suffering. Dr. Naficy is also grateful to Dr. Davanloo, for training him to master the powerful, effective and unique technique of unlocking and the mobilization of the unconscious mind. Dr. Naficy also agrees “the intuitive clinical and theoretical observations of all forms of psychoanalysis, Freudian, Jungian, and Neo-Freudian, all have serious inherent errors in the models of their unconscious processes and in the approach to treatment.” Dr. Naficy is convinced that without removal of stubborn and defiant resistance of guilt, and emotional closeness, major structural changes of personality are not possible and psycho-dynamic psychotherapy cannot be fully successful. Dr. Naficy’s training in Intensive Short Term Dynamic Psychotherapy(ISTDP) was developed based on many years of core training programs supervised by Dr. Davanloo. Dr. Naficy has been participating in International ISTDP meetings and seminars annually in the last 34 years. Dr. Naficy believes that it is his responsibility to remove the malignant resistance of guilt as well as resistance against emotional closeness to enable his patients to become the prime mover of therapeutic tasks in their journey toward emotional freedom. Dr. Naficy is a diplomat of American Board of Psychiatry and Neurology and master clinician and teacher. He has 40 years of experience in practicing psychiatry and 34 years of his professional life has been devoted to mastering the technique of Intensive Short Term Dynamic Psychotherapy. Dr. Naficy did his psychiatry Residency at Loyola University Medical School and also did one year of Chief Residency at Chicago Medical School. He was an Assistant Professor of the University of Medicine and Dentistry of New Jersey and he was awarded “Best Teacher of the Year 2000″. Dr. Naficy was on the Editorial committee of International Journal of Short Dynamic Psychotherapy. Dr. Naficy has been lecturing and teaching intensive Dynamic Psychotherapy both nationally and internationally and he was on faculty of New Jersey Institute for ISTDP. He presented at the United Nation Conference Room on the subject of Violence against women. 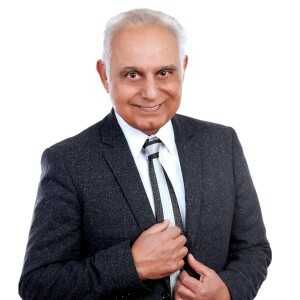 His talent as an international presenter and key note speaker and teacher in the field of Intensive Short Term Dynamic Therapy has been stated in educational programs and newsletters. Dr. Naficy also conducts ISTDP training and supervision for mental health professionals. Copyright 2010 Intensive Short Term Dynamic Psychotherapy. All rights reserved.